The push by oil companies in Western Canada to ship oil by rail has lost its momentum, which could undermine the Alberta government's attempts to clear the backlog of crude in the province. The amount of oil transported by rail set records throughout much of 2018, but preliminary data for 2019 shows a noticeable drop in activity. 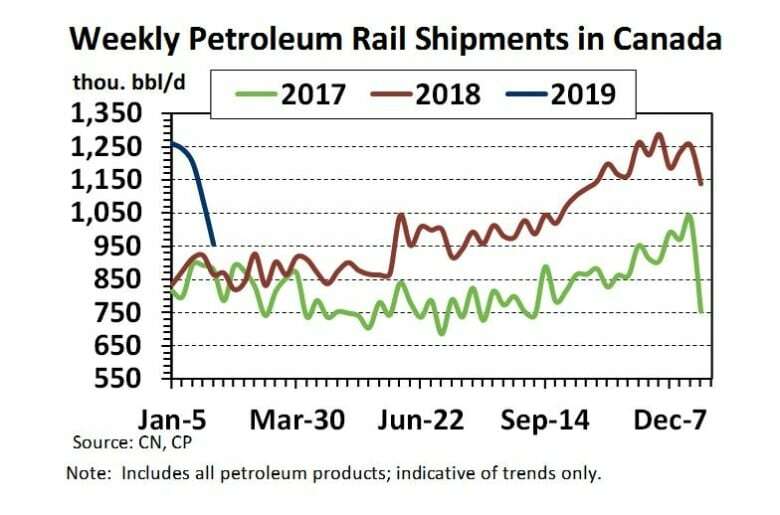 Weekly shipping figures from both CN Rail and CP Rail show declining loads of petroleum products. Crude by rail likely hit another record high in December at about 340,000 barrels per day, but dropped by about 25 per cent in January, according to Martin King, an independent energy analyst. "In January, they've ticked down a little bit and certainly the very last week of January, going into the start of February, they've come down very sharply," said King in an interview. The weekly data from the railways includes several different oil and gas products, but provides a rough idea about crude-by-rail volumes. Official figures from the National Energy Board won't be known for a few months. The Alberta government's decision to mandate a cut in oil production is cited as the main culprit for the drop. The curtailment has boosted prices in Western Canada to within $10 US of prices in the United States. Typically, shipping oil by rail costs between $15-20 per barrel from Alberta to refineries in the U.S., so Canadian oil prices need be much lower to cover the transportation cost. "The differentials have narrowed so much, which is what the whole curtailment was about, but they've narrowed too much," said King about companies wanting to use trains to export oil. Crude-by-rail shipments are expected to fall further this month, as Imperial Oil has said it could halt all of its train shipments because they're no longer economical. Imperial shipped 168,000 barrels per day on rails in December but cut the amount to about 90,000 on rails in January. The company said it plans to ship "at or near" zero barrels by rail in February. The Alberta government chose to cut oil production in the province to reduce the backlog of crude in the province and boost prices, which were trading more than $50 US below American prices near the end of 2018. However, the backlog may be harder to clear if crude-by-rail volumes continue to decline. "Crude by rail should be helping to alleviate this situation in the province but because of the drastic, dramatic manipulation in the market, takeaway capacity is now being idled," chief executive Rich Kruger said during a recent conference call with investors. Imperial has staunchly opposed the government's curtailment policy. So too has Suncor, which also blasted the policy for having the opposite impact to what the government wanted to achieve. "If you look at what's happened, the differential corrected — and over-corrected — very quickly and the unintended consequence of that is … rail economics are severely damaged and a lot of the rail movements are stopping or have stopped," said chief executive officer Steve Williams during a conference call with investors. The Alberta government estimated storage levels decreased by about one million barrels per week since the start of 2019. Clearing that much oil in the coming months may be more difficult since "nearly 65 per cent of January's drawdown of [oil] was supported by crude-by-rail which will not be there in February," said AltaCorp Capital in a research note on Wednesday. Energy data group Genscape says inventories in Alberta climbed by about seven per cent between Jan. 25 and Feb. 1. 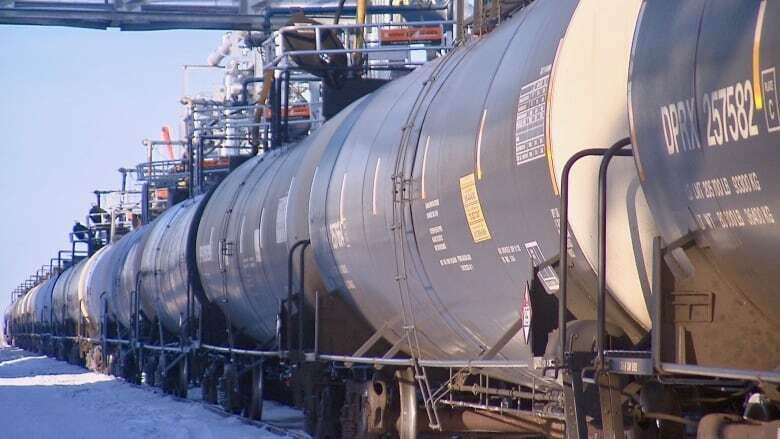 Alberta is easing back on its curtailment plan for February and if that continues in the months ahead, analysts say prices in Alberta could begin to lower and crude-by-rail volumes pick up once again. "Last week, we eased oil production limits ahead of schedule, and we will continue to monitor this closely and adjust as necessary," government spokesperson Mike McKinnon said in an emailed statement. "We expect the differential to settle at a more sustainable level, and we continue moving forward with long-term solutions like our investment in rail and our continued fight for pipelines." An added wrinkle to the equation is how much refineries in the U.S. Gulf Coast will pay for heavy oil following American sanctions on Venezuela. The refineries that process heavy oil mostly rely on Canada, Mexico and Venezuela for their supply. With Venezuela out of the equation and production in Mexico slowly decreasing, refineries may pay a premium for heavy oil out of Western Canada. That situation could reverse the sagging crude-by-rail numbers. "The downturn you're seeing now could be short-lived, but we don't know how the Venezuelan situation is going to turn out," said King, the independent energy analyst. Oil exports by rail climbed in 2018 as oil production increased and pipelines operated at full capacity. 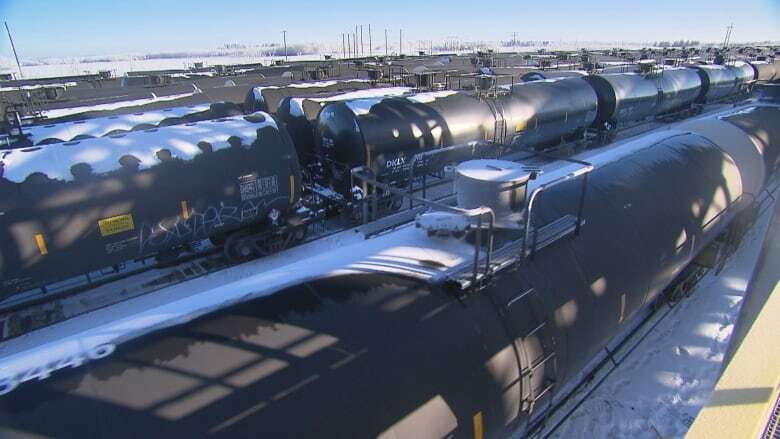 The Alberta government announced in late November it plans to purchase as many as 7,000 tank cars to meet its goal of shipping an additional 120,000 barrels of oil a day by train. The majority of the train cars are expected to arrive in 2020, although details about whether any contracts have been signed have yet to be announced.